Are you the kind of person that loves spring? Do you eagerly await the sound of birds, looking for any hint of a new leaf on your tree? You might be the type of person that would really enjoy some flowers in the shrubbery around your home. 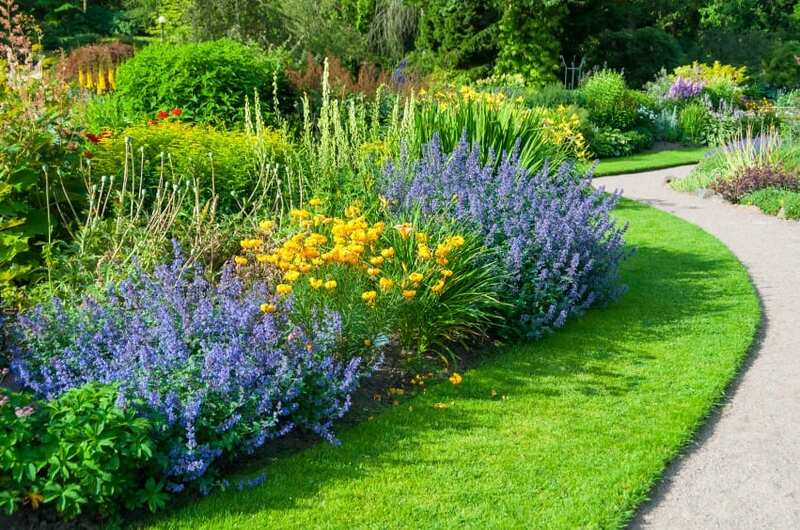 For some great ideas, take a glance at these shrubs that flower in spring, and welcome in each gardening season with beautiful colors and fragrances! This shrub is perfect for nearly any garden, flowering in zones 2-9, and giving pale white flowers. The leaves are a glossy deep green, and the small bouquets of blooms will permeate the air with their scent. Can’t go wrong with a viburnum bush, so try a couple of them in your yard, and see how easy it is to keep them healthy. This is the perfect shrub for many gardens, and no matter where you are in the country, there is a chance that you’ll be able to have a viburnum decorating your home! One of the most popular shrubs seen in the Central Valley of California, this shrub is perfect for zones 4-10. It’s great for the hotter areas of the country, such as the south, and comes in all sorts of colors. The hydrangea grows giant balls of flowers that decorate the shrub beautifully. You can see these flowers from across the yard or across the street, and will make any garden brighter and cheerier as spring wears on. Less hardy than the Viburnum, the Camellia is perfect for sweltering desert areas, surviving in zones 6-11, and gives flowers that look almost like roses. This beautiful evergreen shrub gives flowers in the spring and fall, showing off pink, red, orange, yellow or white flowers, depending on the shrub you get. Don’t worry, though. Once the camellia has really set into its new home, you’ll get beautiful blooms every year, with little care required. This popular plant can hardly be called an evergreen. While it is hardy and alive throughout the year, it blooms so often, it’s rare to see nothing but green on it! These little flowers come in a wide variety of colors, and fill the bushes so thoroughly that it can seem as though you’ve got nothing but a giant pile of flowers by your front door. Only comfortable in zones 4-9, you can keep in partial shade for the day and encourage it into blooming nearly year round! For the colder regions, don’t worry. The Nanking Cherry is well suited for zones 2-7. It’s purely ornamental, so I’m sorry you won’t be getting any cherries from it, but the blooms that explode on its branches every spring will make you the talk of the town. In the summer, the Nanking Cherry does produce some small fruits, bringing in birds from the area to take part in your garden and enjoy the bounty of your tree. Try this large shrub as a hedge, border, or main attraction of your backyard, and watch the cherry blossoms dance in the wind every year.